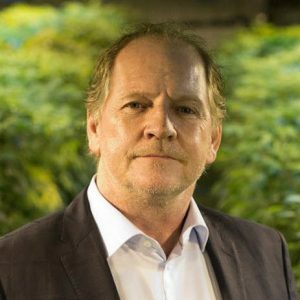 EDMONTON, Feb. 12, 2019 /PRNewswire/ – Aurora Cannabis Inc. (“Aurora” or “the Company”) (TSX: ACB) (NYSE: ACB) (Frankfurt: 21P; WKN: A1C4WM) today announced that the Company’s construction of a 300,000 square foot expansion at the Edmonton International Airport is progressing well. The new facility, named Aurora Polaris, is intended to serve as Aurora’s centre of excellence for the industrial-scale production of higher margin, value added products, such as edibles which Health Canada regulations propose to permit from October 2019 onwards. Aurora Polaris will allow for enhanced capabilities for the Company’s logistics and warehousing needs required to serve ever increasing global requirements. The facility is designed to include additional research and development space. Construction of the facility is anticipated to be completed in late 2019. Polaris is immediately adjacent to Aurora’s Sky facility. In anticipation of the regulatory changes proposed by the Federal Government, the Company is constructing Aurora Polaris, a highly customizable processing and logistics facility. Aurora, through its science, product development and opportunities teams, has identified a number of potential, high-margin value added products it intends to bring to market, including edible products such as baked goods, chocolates, mints, and infused beverages, in addition to concentrates such as vape products, cosmetics, and softgels. In executing on its derivatives strategy, the Company is already engaging with a number of technology partners, securing competitive advantages in the development and production of these new product lines. By having a physically separate, dedicated post-cultivation processing space, Aurora anticipates realizing cost savings, ease of licensing, increased facility efficiencies, and improved workflow. Additionally, this specialized space permits Aurora to adapt to future regulatory changes that are anticipated to be implemented in the coming years, both domestically and internationally. The derivative product capabilities to be established at Polaris, which we are designing to be EU GMP compliant, further strengthen our position as the leading innovator in the cannabis industry, and are squarely aimed at driving growth and margin expansion. Our product development team has a built a deep and exciting pipeline of new high value products, and we look forward to servicing our markets with the next generation of cannabis innovations. We intend to integrate Polaris with operations at Aurora Mountain, Aurora Sky and Aurora Sun, generating operational efficiencies and hard to imitate vertical integration synergies. Its location at the Edmonton International Airport, will assist us to rapidly deliver product to all our target markets, domestically and internationally. While Polaris is under construction, and in order to have production capacity for when new form factors become permissible for sale, the Company has already designated licensed space at its various facilities, including Aurora Sky, for production that is scheduled to be fully ready for Summer 2019. Where required, production lines will be moved from the interim locations to Polaris upon commissioning of the facility. Addressing the rapidly growing domestic and international cannabis markets requires substantial additional logistics capabilities. Augmenting the Company’s existing distribution facilities in Alberta and Ontario, Aurora Polaris has been designed to deliver institutional class logistics to drive operational efficiencies and decrease time to market of Aurora products around the globe. The Company currently has a logistics centre in Alberta, and is using dedicated space at both MedReleaf and through a contracted third-party logistics partner in Ontario which, between them, covers Aurora’s current distribution requirements throughout the country. The existing infrastructure includes the full integration of warehousing and production management systems to ensure speed to market and short lead times for customers. Additionally, the Company has partnerships with leading logistics suppliers with deep experience in handling controlled substances as well as consumables, such as food. Aurora has one of the industry’s largest and most accomplished science teams, fueling continuous innovation. The new facility will house some of the Company’s science efforts focused on pre-clinical and clinical research, health outcomes, analytical and discovery science with an eye on developing marketable IP and new, more narrowly targeted cannabis-based therapeutics. Located close to the University of Alberta, an important research partner for the Company, the new facility will provide improved infrastructure and support for Aurora’s growing number of scientists, engaged in a large and growing number of projects, in addition to the Company’s already existing science facilities. Located immediately adjacent to Aurora Sky, the Company’s 100,000+ kg/year cannabis production facility, Aurora Polaris enables integration with production schedules and processes at Sky, resulting in enhanced agility and optimized workflow. Furthermore, the facility’s location at the Edmonton International Airport, with its customs, logistics, and security capabilities critical for the handling of goods destined for export markets creates efficient logistics and significant competitive efficiencies.